Losing a tooth can affect how you chew your food. It also causes your other teeth to drift into the gap, giving you an uneven smile. That’s why you need to replace any missing teeth as soon as possible. While there are several options for restoring a missing tooth or two, many experts consider dental implant restoration to be the best one yet. The implant is a small device that resembles a screw. It’s placed right through your gum line and into your jawline, where it will function like the root of your tooth to secure the replacement tooth. An artificial tooth (crown) can then be placed over the implant. It will look and function just like your real tooth. In some cases, the dental implant may be used to anchor a dental bridge or a set of dentures to replace a row of missing teeth. 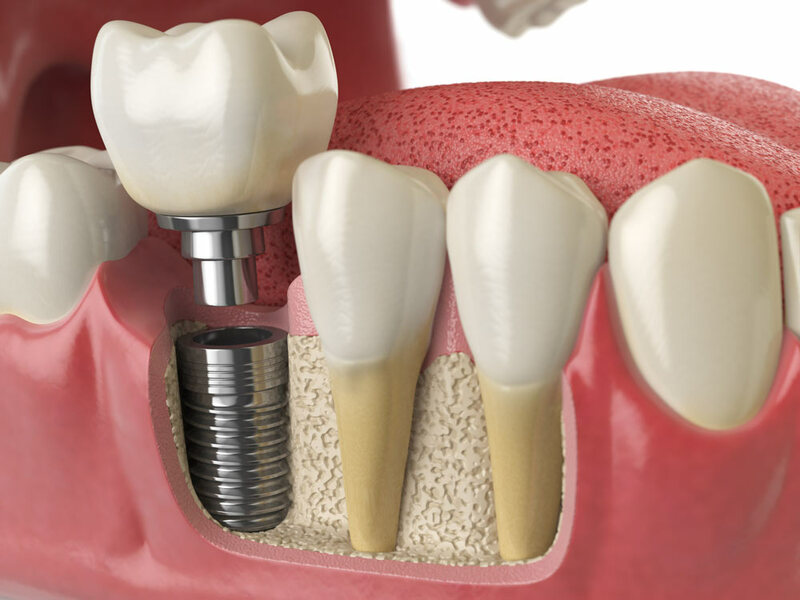 The use of the dental implant makes for a more secure installation of the replacement teeth. The tooth is held in place by the implant which is fused to your jawbone, making it very secure in its position. It doesn’t need to be removed and it won’t wobble in place like some dentures. You also retain a large portion of your bite. With bridges, the adjacent teeth have to be reduced so that the crowns acting as the anchors can be installed. But there’s no need for such with dental implants. The dental implant looks natural, so there’s virtually no way for anyone to think that your replacement tooth is anything but real. Finally, the dental implant feels the most natural. It’s like having your old tooth back. You won’t have to go through a stage of feeling strange with dentures in your mouth, and you won’t have to go through a period of time speaking with a speech impediment either. You can also just brush and floss your teeth like you normally do. If you have lost a tooth or some teeth, talk to your dentist about dental implant restoration. It may cost more than dentures, but the benefits are worth every expense according to the vast majority of patients who have received them.